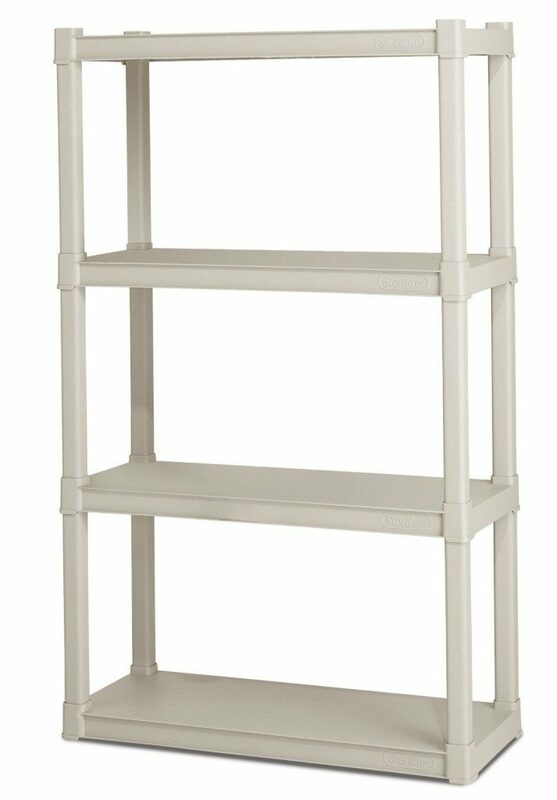 Sterilite 4-Shelf Shelving Unit 55% Off - $24! You are here: Home / Great Deals / Amazon Deals / Sterilite 4-Shelf Shelving Unit 55% Off – $24! Sterilite 4-Shelf Shelving Unit 55% Off – $24! Need some organization to your storage area? Get the Sterilite 4-Shelf Shelving Unit, Platinum for just $24, down from $53.38 on Amazon.